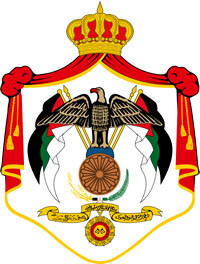 The Hashemite Kingdom of Jordan has the quality competitive human resource system to provide all people with life-long learning experiences relevant to their current and future needs in order to respond to and stimulate sustained economic development through an educated population and a skilled workforce. From its beginning ITG (Integrated Technology Group) was fortunate to be established and led by a few visionaries that created principles to building a dynamic, innovative and technology driven group of companies. 23 years of carrying on the main principles and hard work, ITG is proud of seeing our clients as partners of success as together we were able to build these achievements. With headquarter in Jordan, ITG’s network of strategic partners nowadays cover more than 21 countries worldwide in Europe, the Middle East, Asia, and Africa. The Exceptional demand on our solutions made the strategic decision of investing and creating new branches in certain countries simple; ITG-America, ITG-Asia, and recently ITG-Saudi were established then. Technology can create entirely new teaching and learning experiences. That is why HP, as a leading technology company, is in a strong position to support education at universities and schools. IT is not only a subject in its own right; it is also an essential tool for learning and teaching all other subjects. But it takes more than just technology to raise test scores and inspire students. What really spurs progress is an understanding of how to use technology to improve the quality of education. Through its Innovation in Education program, HP is an active partner in the creation of new models of teaching and learning. HP is not only investing into education specific technology and educational software but also promoting via the HP Catalyst Initiative some of the most innovative student projects at secondary schools and universities in Europe, the Middle East and Africa (EMEA). The focus is on science, technology, engineering and mathematics (STEM). Lenovo (HKSE: 992) (ADR: LNVGY) is a US$30 billion personal technology company – the second largest PC maker worldwide and an emerging PC Plus leader – serving customers in more than 160 countries. Dedicated to building exceptionally engineered PCs and mobile internet devices, Lenovo’s business is built on product innovation, a highly-efficient global supply chain and strong strategic execution Formed by Lenovo Group’s acquisition of the former IBM Personal Computing Division, the Company develops, manufactures and markets reliable, high-quality, secure and easy-to-use technology products and services. Its product lines include legendary Think-branded commercial PCs and Idea-branded consumer PCs, as well as servers, workstations, and a family of mobile internet devices, including tablets and smart phones. Lenovo, a global Fortune 500 company, has major research centres in Yamato Japan; Beijing, Shanghai and Shenzhen, China; and Raleigh, North Carolina. With more than 380,000 customers — including 100 of the Fortune 100 — and with deployments across a wide variety of industries in more than 145 countries around the globe, Oracle offers an optimized and fully integrated stack of business hardware and software systems. Innovation is key for Oracle: since 2004, Oracle had invested more than $19 billion dollars in continued innovation of its products. Oracle employs 32,000 developers and engineers, in addition it also helps the next generation to prepare for 21st century workplaces by supporting 1.5 million students annually. For over 30 years Oracle helps customers to get better business results and more innovation. Oracle’s comprehensive and integrated approach brings tremendous benefit to customers. Oracle is able to provide more innovation more quickly than its competi­tors because the company coordinates development among all of its engineering teams at all levels of the Oracle product stack. This allows Oracle to move new features and capabilities — developed with input from thousands of advisory board and user group customers — from develop­ment to the marketplace at a rapid pace, and allows customers to get the most out of their technology investment. Obeikan Education, part of Obeikan Investment Group, is an integrated education solutions provider. Obeikan Education specializes in the development of curriculum content, teaching and learning methods, professional development of instructional staff, as well as e-learning and educational technology. Obeikan Education’s benchmarks are best practice and quality based on international standards. We localize and deploy international expertise to suit the cultural and religious context of Arab and Moslem communities. We provide leading curricula for delivery in the local language. Employing Saudi, Arab, and global experts, Obeikan is proud to partner with some of the most prestigious universities and institutions, as well as world class organizations, and publishing houses globally. We develop teaching and learning that supports the work of regional ministries of education, universities and institutions as well as the wider community of learners at all levels. Obeikan Education is focused on the future of learners, educators, and families. Founded in March 1989, JP-inspiring knowledge is dedicated to the design, development and distribution of Technological Solutions, and leader of a global reference initiative pioneering ICT-based Education. JP-inspiring knowledge manufactures high quality computer equipment, like the leading brands in Portugal – Tsunami and mgseries -, and strives for the strength, competitiveness, innovation and quality of their products. To deliver purpose-built solutions for education through ICT products and services that foster human development. At JP-inspiring knowledge, we build custom products and services that are specific to each educational context and have developed a network of key global players with vast experience in ICT and Education. We are working to bridge the digital divide in Education between and within countries, allowing each country to provide equal access to the best available pedagogical tools. It is our objective to assure that children develop successfully and leapfrog into the new global society. Based on existing agreements and projects running, JP-inspiring knowledge is the world largest OEM deploying Intel Classmate-based student devices. We are currently operating in more than 70 countries directly or through partners, and have delivered over 4 million student devices worldwide. Established in 1976, Acer is an information and communication technology company dedicated to the research, design, marketing, sale and support of innovative products that enhance people’s lives. Acer’s green supply chain delivers environmentally friendly PCs, displays, projectors, servers, tablets and smartphones — tools our customers need to explore beyond limits and experience more. Ranked No. 3 for notebooks globally (IDC 2012), Acer employs 8,000 people, and 2012 revenues reached US$14.7 billion. Please visit www.acer.com for more information. Headquartered in Dubai, IBM’s first presence in the Middle East dates back over 60 years to the installation of the first computer at Saudi Aramco in 1947 IBM Middle East and its business partners provide channel and product management, sales and technical support, product distribution, solution offerings, and business consultancy. IBM currently has groundbreaking initiatives in the fields of cloud computing, nanotechnology, desalination, solar power, eGovernment, healthcare and many more across the region collaborating with leading educational institutes and governments in building a smarter planet. IBM works towards opening up meaningful new possibilities for progress across the region, building smarter energy, transport, healthcare, government and ultimately, smarter cities. Microsoft’s mission in education is to help every student and educator around the world realize their full potential. At Microsoft, we are deeply committed to working with governments, communities, schools, and educators to use the power of information technology to deliver technology, services, and programs that provide anytime, anywhere learning for all. We believe an educated population is the one natural resource that increases in value as it increases in size. The company offers a wide range of products and services designed to empower people through great software – any time, any place and on any device. ITS is a business and technology service company, employing over 1,400 people. It provides business solutions, systems’ integration and outsourcing services to clients of financial services, education, governments, energy and enterprises. ITS creates value for clients via merging people, industries and services competencies. The ITS OneCampus solution for the higher education sector provides a unique and innovative approach through technical and social integrated solutions accompanied by incomparable services. The applications and the solutions provided by OneCampus are fully compatible with the future plans of any university or educational body which aim to keep pace with its growth and to ensure the best at educational, administrative and technical service levels. During the last few years the ITS Group has succeeded in providing a range of unique solutions, systems and techniques which are suitable for universities and educational institutions across the Middle East. The ITS solutions are in line with the requirements of students in the region and it is this factor which distinguishes ITS from other companies operating in the same activity. While modern technology has increased substantially it is the deep-rooted experience of the ITS Group which allows the company to meet client requirements and to successfully apply the OneCampus solutions with internationally high standard specifications. Since its founding in 1968, Intel Corporation has grown into the world’s largest semiconductor company (based on revenue). The company employs nearly 100.000 people across more than 50 countries. Intel’s products and technologies are at the heart of computing solutions that have become essential parts of businesses, homes and schools around the world; and are being used to tackle some of the world’s most complex problems – in areas that include education, healthcare, economic development, and environmental sustainability. The company’s products include microprocessors, chipsets and other semiconductor products that are integral to computers, servers, note- and netbooks, as well as consumer electronics, handheld devices and connected “embedded” products becoming part of cars, shopping kiosks and bank ATMs. Intel’s focus in not solely on the products it delivers. From primary schools to leading universities, Intel is committed to improving the quality of education around the world. Over the past decade alone Intel has invested over USD 1 billion and Intel employees have donated over 2.5 million hours in the last 10 years toward improving education in more than 50 countries. Intel’s model for education transformation combines advocacy for policy reform, curriculum standards and assessment, sustained professional development, information and communications technology, and support of research and evaluation. We collaborate with governments, policy makers, and local vendors to make this model viable worldwide. Intel is headquartered in Santa Clara, California (USA). Additional information about the company is available at blogs.intel.com. Elsevier offers a journal collection of over 2,500 current titles consisting of more than 10 million articles, including a historical archive (backfiles) of 4 million articles prior to 1995 directly to your desktop, back to Volume 1, Issue 1. In addition we offer quality online Reference Works, Book Series, Handbooks, eBooks which enable fast and efficient access to the latest materials available for teaching and research purposes and Scopus, our navigational tool covering the world’s largest collection of abstracts, references and indexes of STM literature. These services significantly contribute to the research-productivity of the scientists and enrich their collections, whilst saving space and time searching for suitable content. Elsevier provides you with the necessary tools allowing you to teach students at the highest possible level, making the institute an attractive place to study, whilst steadily moving up the University World Rankings! The Parthenon Group is a global strategic advisory firm with offices in Boston, London, Mumbai, San Francisco, and Shanghai. Parthenon has served as an advisor to the education sector since our inception in 1991. Our Education Practice – the first of its kind across management consulting firms – has an explicit mission and vision to be the leading strategy advisor to the global education industry. To achieve this, Parthenon invests significantly in dedicated management and team resources to ensure that our global expertise extends across public sector and non-profit education providers, foundations, for-profit companies and service providers, and investors. Parthenon also has deep experience and a track record of consistent success in working closely with universities, colleges, states, districts, and leading educational reform and service organizations across the globe. To date we have served clients in more than 60 countries and we complete 150 education projects annually. Samsung Electronics Levant inaugurated its offices in Jordan in 2009, representing Samsung Electronics Co. in the Levant region (Jordan, Syria, Lebanon, Iraq and Palestine). The office aims to serve a rapidly growing market, and offers high standard customer services to its clients and customers in the region. Samsung Electronics Co. through its different business units introduces its latest innovations and technologies, continuously raising the bar in quality, reliability & specifications. From state of the art consumer electronics, to the most comprehensive business solutions. In-line with the company’s slogan “Smarter Life, a Smarter World”, Samsung Electronics has utilized its diversified products to work seamlessly with each other in perfect synergy; creating the perfect ecosystem for Business, Medical & Educational solutions. Including “Samsung School” which is show cased in this summit. Toshiba Gulf FZE is a wholly owned subsidiary of Toshiba Corporation headquartered in Tokyo, Japan. Toshiba is a world-leading diversified manufacturer, solutions provider and marketer of advanced electronic and electrical products and systems. Toshiba Group brings innovation and imagination to a wide range of businesses: digital products, including LCD TVs, notebook PCs, retail solutions and MFPs; electronic devices, including semiconductors, storage products and materials; industrial and social infrastructure systems, including power generation systems, smart community solutions, medical systems and escalators & elevators; and home appliances. Headquartered in Dubai, UAE, Toshiba Gulf FZE caters to a number of regions including GCC, Levant and Egypt and aims to bring in “local-fit” products and enhance Toshiba brand equity in these regions. The company offers a wide-ranging product portfolio that includes consumer and business notebooks; netbooks; laptop accessories; tablets; 3D, LED and LCD TVs; and Blu-ray Disc Players..
Toshiba was founded in 1875, and today operates a global network of more than 550 consolidated companies, with 202,000 employees worldwide and annual sales surpassing 6.1 trillion yen (US$74 billion). Visit Toshiba’s web site at www.toshiba.co.jp/index.htm and at www.toshibamea.com. Edumonde is a private but socially driven company jointly based in Paris and and Johannesburg. We are a subsidiary of Worldview Global Media Holdings (WGMH), a Swiss company that has over 12 years’ experience in making use of communications for education and social development projects across Asia and Africa. EduMonde was created by a highly passionate and multi-skilled team who wants to actively contribute to the Millennium Development Goals (MDGs) and to the Education For All (EFA) action plans adopted during the Dakar World Education Forum, organized by UNESCO in 2000. Edumonde aims to provide access to high-quality multimedia content through innovative and easy-to-use digital solutions. We believe that first-rate education can be achieved by empowering educators and by providing teaching tools that increase learner motivation and engagement. Our solutions incorporate unique and innovative devices that allow access to the best available content via digital TV broadcasting (VOD without internet). In the countries where we operate we look at partnering with organizations that can provide local support, logistics, infrastructure and content in order to deliver a localized solution. Houghton Mifflin Harcourt is a global learning company with the mission of changing lives by fostering passionate, curious learners. Among the world’s largest providers of pre-K–12 education solutions and one of its longest-established publishing houses, HMH combines cutting-edge research, editorial excellence and technological innovation to improve teaching and learning environments and solve complex literacy and education challenges. HMH’s interactive, results-driven education solutions are utilized by 60 million students in 120 countries, and its renowned and awarded novels, non-fiction, children’s books and reference works are enjoyed by readers throughout the world. At an enterprise level, we are turning around schools by partnering with administrators, teachers, parents and students. We collaborate with these stakeholders to develop and deliver interactive, results-driven solutions that build an interactive network across the entire education community, promoting a continuous cycle of instruction and assessment that empowers students of every learning style to explore their full academic potential. Our unique enterprise approach is especially effective at equipping parents with the necessary tools to support and motivate their children beyond the classroom, and at helping low-performing schools reach and exceed their goals—ultimately driving the achievement of the student. Led by the Japan-based Seiko Epson Corporation, the Epson Group comprises more than 81,000 employees in 97 companies around the world, and is proud of its ongoing contributions to the global environment and the communities in which it operates. Springer Science+Business Media is a leading global scientific publisher, providing researchers in academia, scientific institutions and corporate R&D departments with quality content via innovative information products and services. Springer is also a trusted local-language publisher in Europe – especially in Germany and the Netherlands – primarily for physicians and professionals working in the automotive, transport and healthcare sectors. Roughly 2,000 journals and more than 7,000 new books are published by Springer each year, and the group is home to the world’s largest STM eBook collection, as well as the most comprehensive portfolio of open access journals. Springer employs nearly 6,000 individuals across the globe and in 2011 generated sales of approximately EUR 890 million. Lucas-Nülle training systems have been manufactured for 30 years at the company’s premises in Kerpen near Cologne and are now distributed to customers in more than 100 countries. With its years of know-how, Lucas-Nülle can offer not only equipment but also complete training concepts and solutions. Each training system is supplied with extensive, PC-based training software running on the proprietary LabSoft platform. The company’s products include easy-to-use, time-saving administrations software for managing trainees and classes. for science education and scientific research at schools and universities. Modern e-Learning systems, software and a broad spectrum of services including training courses, on-site installation and comprehensive pre-sales consulting complete our offering. Our competence, quality and reliability – made in Germany – has enabled us to become one of the world leading companies for the supply of training and educational equipment for the teaching of Physics, Chemistry, Biology and Applied Sciences. More than 145,000 customers in over 95 countries (including those in Africa for over 30 years) value our experience and products. PHYWE is your sought-after partner for schools, colleges, universities, private institutes, museums and research institutions worldwide. Autodesk helps people imagine, design, and create a better world. Everyone from students and hobbyists to engineers, architects, design professionals and digital artists uses Autodesk apps, software and services to unlock their creativity make better products and solve important challenges. Autodesk Education inspires and fosters the creators of tomorrow by providing students and educators with the technology to imagine, design and create a better world for future generations. They provide students and educators with ACCESS to free Autodesk technology from design apps to professional-grade technology — helping to shape the next generation of engineers, architects and designers while fostering a love of design and inspiring change throughout the industry. Autodesk’s technology combined with Autodesk Education’s specialized communities, support networks, and participation and sponsorship of competitions/events INSPIRE students to think creatively, and be innovative and limitless with their design work. With a full portfolio of professional and personal design products, Autodesk introduces students at all levels to the love of design, and power of design technology, so that they may DEVELOP into true design professionals. For more information visit autodesk.com or follow @autodesk. If you are a student or an educator find out how you can get FREE software today by visiting: www.students.autodesk.com. Cambridge University Press’s mission is to ‘further through publication and printing the University’s objective of advancing learning, knowledge and research worldwide’. This mission is achieved by producing academic books, educational software and textbooks, monographs, reference works, English Language Teaching materials, electronic publishing, Bibles and prayer books and over 300 academic journals. Cambridge University Press is a leading educational publisher, publishing high-quality, curriculum-based books, software and digital resources for international, primary and secondary schools worldwide. Cambridge is a market-leading publisher for Cambridge International Examinations (CIE) Checkpoint, Cambridge IGCSE and A Level qualifications, as well as a global publisher in IB Diploma resources. The Press also publishes a globally recognized school Shakespeare series and national curriculum publishing in the UK, India, Africa and Australia. A team of global specialist sales consultants provides customer care and support, with international offices and agents providing local support to customers all over the world. Visit education.cambridge.org to find out more. As an innovator and a global leader in high-quality teaching and learning solutions, we are helping improve the world’s prospects and providing individuals vital knowledge to enable them to reach their full potential throughout their lives. Innovation – We are constantly looking at new ways to improve learning and help people become more productive and efficient in rapidly changing markets. Success and Learning – We are focused on helping students of all ages succeed with our proven solutions. Customer Focus – We are committed to providing superior customer service and providing solutions to meet every teaching and learning need. MOZAIK Education is the leading textbook publisher and the provider of the most widely used interactive education software in the Hungarian public education, producing educational material up to the highest European standards. Since the foundation of the company over twenty years ago it has been a leading force in the front line of innovation. Education today faces challenges worldwide. The way knowledge is passed on to our children is just as important as deciding what to teach for future generations. We have to prepare pupils today for the tasks of tomorrow. Our experts in education have the complex answers to face all aspects of this challenge. The mozaLearn is an integrated educational system, providing adequate digital support for pupils and teachers as well as for parents. Supports teaching by programs designed for interactive whiteboards. Helps schools with their wide-ranging facilities in administrative work with its complex digital administrative program. The digital textbooks in mozaBook make the contents of the printed books more interesting and easily perceivable by using interactive 3D models, videos, exercises, maps and thematic tools. Please watch our video on www.mozalearn.eu/video to get a deeper impression. Bi-Bright is part of the Bi-silque group, the leading specialist manufacturer of visual communication products based in Portugal. We supply to more than 60 countries in 5 continents and doing so for almost 40 years. But what makes Bi-Bright different? Decades of experience in producing traditional whiteboards and presentation products enables us to understand the use, application and demands of classroom environment. We have taken that experience to create the total interactive solution for the modern teaching environment. Our interactive solution includes Interactive Whiteboards and Touchscreen LCD, Tablets, Projectors and a full range of resources. Our strategy has created a solution that is of the highest quality, accuracy and responsiveness; providing the ultimate user friendly experience. int@j, The Information and Communications Technology Association of Jordan, is an ICT & ICT Enabled Services (ICTES) industry-support association founded in 2000 with the aim of improving the dynamics of Jordan’s ICTES market and developing the Kingdom’s ICTES related activities. Membership is open to all companies operating in Jordan in the fields of software development, support, application, telecommunications, digital content, Business Process Outsourcing (BPO) and ICTES services, value-added assembly and distribution of ICT products and services, and is also open to the suppliers and users of these industries, along with universities and other parties supporting ICTES training and promotion. Tribal is a leading provider of systems and solutions to the education, training and learning markets around the world. Our work includes building world-class software from schools to colleges and universities, along with improvement services and skills development programs to support high-quality education worldwide. Our systems include market-leading software and related services to support education, training and learning. Our student-administration systems are streamlining processes in dozens of education institutions around the world. In Higher Education our user base reaches over 130 clients including over half of the Russell Group of universities, the University of Sydney and University of Oxford. Our work is established across the globe helping organisations to become more effective, saving them time and reducing costs. With over 7,000 staff operating in more than 80 countries, Macmillan Publishers Ltd is one of the largest and best known international publishing groups in the world. It is characterized by high-quality academic and scholarly, educational, fiction and non-fiction publishing in many forms; from STM and social science journals to serious non-fiction and literary fiction; from educational course materials and dictionaries to college textbooks, academic monographs and reference with supporting online resource sites. Macmillan Education is one of the world’s leading publishers of English Language teaching and school curriculum materials, with over 150 years of publishing experience. Macmillan Education works with teachers, students, institutions, educational authorities and Ministries of Education to develop high quality course books and supplementary materials to suit the needs of teachers and students of all levels. Nature Publishing Group (NPG) is a publisher of high impact scientific and medical information in print and online. NPG publishes journals, online databases and services across the life, physical and applied sciences and clinical medicine. NPG also offers a range of unique tools designed to help scientists across all disciplines succeed in creating and communicating scientific results in the best possible way and to the largest possible audience using training, editorial support and publishing platforms. Eclipse Publishing & Distribution Co.
Eclipse Publishing & Distribution Co. is a Jordanian entity and was established in 2003. Our books are one of a kind that are designed to address the need for a different kind of education essential for a good future. The book series are built on international and high standards catering for public, private and international schools. To be recognized as a leading publishing house in the Middle East and on an international level. Providing exclusively designed educational programs with the newest and highest standards of educational methods. We are seeking to educate and motivate a creative, problem-solving and open-minded generation that will play an active role in setting high work standards and social awareness. Passion in everything we do. Delivering the most useful of educational programs. Altofola International Company is a Closed Joint Stock Company, with its headquarters in Riyadh. It has dedicated its intellectual, human and material resources to the care of children in the 3-14 year age group. It is considered as one of the most valuable investments of the Al Ayuni Group for Commerce and Investment. Al Ayuni Group was founded in Saudi Arabia in 1960 promoting its adherence to strong values, business ethics and professional results. The business started as a road & civil works construction contractor and has developed over time through various business ventures and through the management of accredited and caring people. It has 8,500 total employees and operates in eight different business sectors – www.alayunigroup.com. Al Tofola International Company has created a variety of educational programs and systems, targeting children in the 3-14 year age group. Founded in 1807, John Wiley & Sons, Inc. has been a valued source of information and understanding for more than 200 years, helping people around the world meet their needs and fulfil their aspirations. Wiley and its acquired companies have published the works of more than 450 Nobel laureates in all categories: Literature, Economics, Physiology or Medicine, Physics, Chemistry, and Peace. Our core businesses publish scientific, technical, medical, and scholarly (STMS) journals, encyclopaedias, books, and online products and services; professional/trade books, subscription products, training materials, and online applications and Web sites; and educational materials for undergraduate and graduate students and lifelong learners. Wiley’s global headquarters are located in Hoboken, New Jersey, with operations in the U.S., Europe, Asia, Canada, and Australia. The Company’s Web site can be accessed at www.wiley.com. The Company is listed on the New York Stock Exchange under the symbols JWa and JWb. Cengage Learning EMEA Ltd is a leading provider of innovative teaching, learning and research solutions for the academic, professional and library markets worldwide. The company’s products and services are designed to foster academic excellence and professional development, increase student engagement, improve learning outcomes and deliver authoritative information to people whenever and wherever they need it. Through the company’s unique position within both the library and academic markets, Cengage Learning provides integrated learning solutions that act as a bridge between the library and the classroom. Cengage Learning’s brands include Brooks/Cole, CourseTechnology, Delmar, Gale, Heinle, National Geographic Learning, South-Western and Wadsworth. Since 1996, Texas Instruments’ award-winning DLP technology has powered the world’s top display devices to deliver higher resolution images rich with color, contrast, clarity and brightness for a wide range of applications, including intelligent display technology. With DLP’s intelligent display capability, users can interact with content in a diverse range of applications, such as automotive, medical and interactive projection. DLP’s technology spans movie theaters (DLP Cinema®) and large-scale, professional venues; in conference rooms, classrooms, and home theaters; and with DLP Pico™-enabled mobile devices, the ability to display images from the palm of your hand. Every DLP chip features an array of up to 8 million microscopic mirrors that switch at ultra-high speeds. With this speed advantage, DLP enables applications unheard of by competing display technologies. Corel is one of the world’s top software companies providing some of the industry’s best-known brands, including Roxio®, Pinnacle™ and WinZip®. Boasting the most comprehensive portfolio of graphics, productivity and digital media products, we’ve built a reputation for delivering innovative software that’s easy to learn and use, helping people achieve new levels of creativity and productivity. The industry has responded with hundreds of awards for innovation, design and value. Used by millions of people around the world, our product lines include CorelDRAW® Graphics Suite, Corel® Painter®, Corel® PaintShop® Pro, Corel® VideoStudio®, Corel® WordPerfect® Office, Pinnacle Studio™, Roxio Creator®, Roxio® Toast® and WinZip®. For more information on Corel, please visit www.corel.com. Hodder Education is a leading service provider to schools in over 80 countries worldwide, with resources and training available from Primary to A level. We publish for qualifications from the IB, Cambridge International Examinations and Edexcel, and also offer a wide range of innovative digital support. Hodder Education incorporates Philip Allan who publish unique magazines for students who want to know more and achieve the very best grades. ZTE’s e-education solution provides more choices for the education industry. Through use of nationwide educational network interconnection, multi-technique campus access network, flexible and open resource sharing platform, customized educational applications and knowledge service, more students can conveniently obtain high-quality educational resources. ZTE has a long history of providing education solutions. For example, ZTE provided deployment and consulting services on e-education solutions to Egypt, Ethiopia, Nigeria, Mozambique, and other countries with great success. EMC is a global leader in enabling businesses and service providers to transform their operations and deliver information technology as a service (ITaaS). Fundamental to this transformation is cloud computing. The EMC Academic Alliance program is EMC’s offering to accredited institutions of Higher Education. The program offers faculty unique ‘open’ curriculum-based education on technology topics applicable to any vendor environment such as virtualization, cloud computing, big data analytics, and information storage and management. These courses enable students to develop highly marketable knowledge and skills required in today’s evolving IT industry. Datability is the IT innovator in the area of data related solutions. We help clients to maximize their return on data, solely focusing on data treatment solutions such as data warehousing and Business Intelligence. Datability was established in 1998 in Saudi Arabia. We believe that our continuity and success results directly from our client focus, working with our world-wide technology partners and our highly skilled team. We have succeeded in establishing a prodigious reputation in the Saudi market through the collaboration with the largest enterprises across many business sectors including education, government, telecommunication and finance. Data profiling; Data cleansing; Data migration; Data integration and consolidation; Data governance; Data warehousing and data mart; Operational data store; Business intelligence; Dashboards; Data mining; Master-Data management; Balanced score card. 3P Learning’s Mathletics is helping millions of children around the world love learning and improve their maths results. The online program contains thousands of maths activities, aligned to various international curricula. Mathletics contains an extensive range of printable eBooks, diagnostic challenges, fun games, Concept Search Tool and much more. Teachers can easily differentiate and personalise learning to meet the needs of all pupils. Mathletics also adds a competitive dimension to learning, allowing students to play live mental arithmetic games against other pupils from around the world in a completely safe environment. Mathletics is proven to increase student’s results in maths. If used for at least an hour a week, pupils will see an improvement in results by an average of 31%. Students can complete activities and tasks at school or home. Performance data for each student and class is recorded and stored in an online mark book, allowing teachers to personalise learning and address the needs of individuals. Accessible 24/7, Mathletics successfully motivates young people to want to do more maths. Stephen Austin is a world leader in the field of confidential examination paper production and work with Ministries of Education and Examination Councils throughout the world and including the Middle East. Based in the UK, we have over 60 years of experience in this demanding field. Assessment organisations need to be able to rely on the accurate and reliable provision of confidential examination question papers, answer booklets and other examination material – with our wide experience and knowledge, we take care of all aspects of the production, packing and despatch leaving examination bodies free to focus their professional expertise on the most important activities – the development of reliable and valid tests and the marking and awarding of final grades. We run unique automated packing lines that ensure 100% accuracy and traceability in the packing of every paper into every tamper evident polybags. Every polybag is tracked into every box, with all audit data supplied to Client’s electronically. We offer individually tailored programmes designed to develop and build local capability in secure examination production, packing and distribution. We as TRIUMPH BOARD are a European manufacturer of Interactive Whiteboards and Audio Visual equipment, selling to the Educational and Corporate sectors across 50 EMEA countries and going World Wide now. Atlas Educational Software Industries is a software company specializing in Student Information Systems for the last 10 years. Located in Hacettepe University R&D Zone in Ankara-Turkey, our company supports international standards in Student Information Systems Development. Our staff have strong subject matter expertise in customizing and implementing large scale enterprise SIS projects. Our flagship product K12NET is currently been used by over 500 schools for Ministry of Education in United Arab Emirates and in over 800 schools in Turkey. In addition to that, the system has been awarded as the enterprise Student Information System for all schools in Qatar by Supreme Education Council. Having a wide-range of customer variety, K12NET can be easily customised to cater in different educational settings and curriculum structures. K12NET includes a complete suite of integrated enterprise modules like Gradebook, Attendance, Behaviour Assessment, Counselling, Special Needs Education, Messaging, School Health, School Transportation, Fee Management, HR&Financials etc.